Apple CEO Tim Cook gave a speech at the Fortune Forum, a conference hosted in the southern city of Guangzhou in China. Cook maintained that he believed that some apps removed from China’s App Store will eventually be restored. 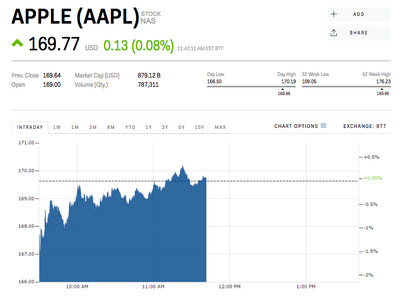 To watch Apple’s stock price move, click here. 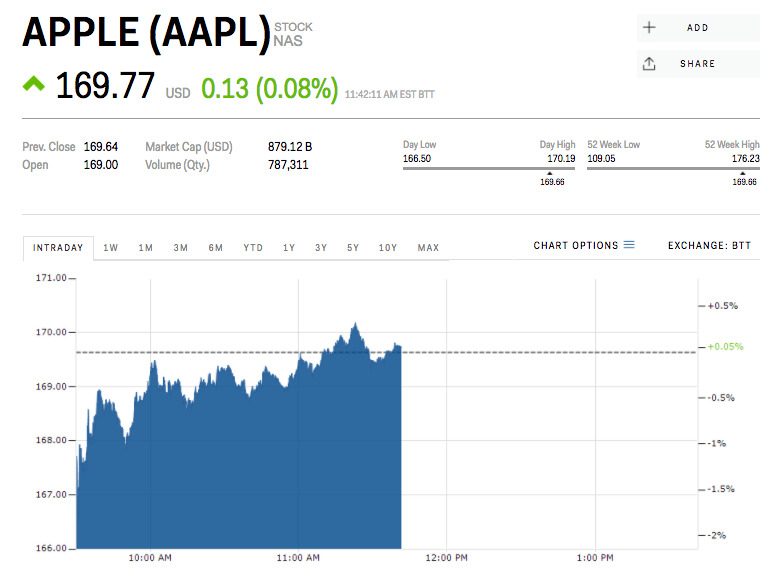 Apple‘s shares were little changed on Wednesday morning after Apple CEO Tim Cook discussed Apple’s performance in a speech in China. Other tech stocks, such as Alphabet’s Google,Amazon,Facebook and Snap, were up on Wednesday. Cook’s speech touched on Chinese sales of the new iPhone X and controversy surrounding the removal of messaging apps from China’s App Store. Apple has received criticism after it removed some apps, like Skype and a few virtual private networks, from China’s App Store at the request of the Chinese government. Yet Cook expressed confidence that some of the apps will eventually be reinstated, according to reports from Reuters. “My hope over time is that some of the things, the couple of things that’s been pulled, come back,” he said at the Fortune Forum in the southern Chinese city of Guangzhou. “I have great hope on that and great optimism on that,” he said. Cook said he was happy with iPhone X sales in China, which is Apple’s third-largest region by sales, although the smartphone continues to be edged out by competitors. Recently, Apple had a disagreement with Tencent Holdings, China’s largest social network and gaming company, after Tencent decided to release apps within its own app ecosystem, completely circumventing the Apple store. The companies have since reconciled their differences. Apple’s China App store now accepts WeChat payments. Apple’s stock is trading at $US169.77 a share and is up 46% for the year. To read more about why China is Apple’s third largest market, click here.